Some of the nicest figures on a game table I've ever seen! Very nice and a fascinating what if period. 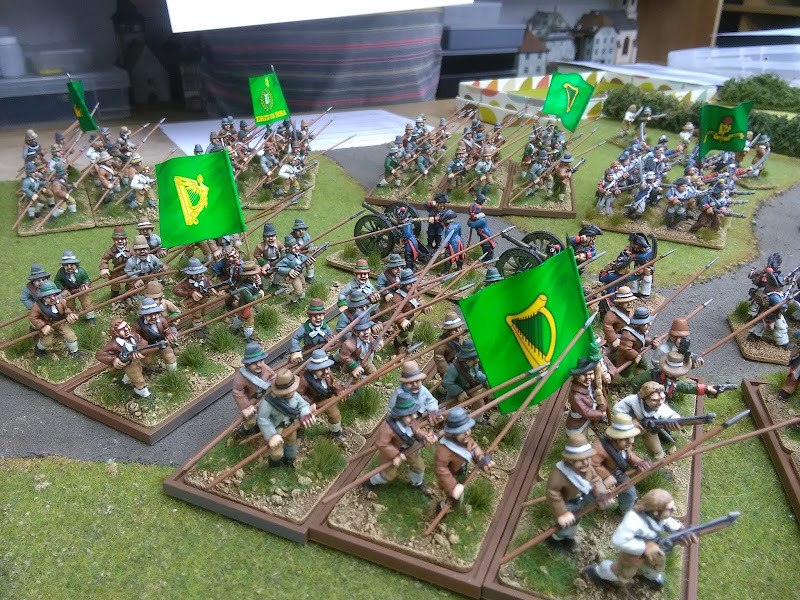 Fighting the rebellion a few months earlier, before the Irish Patriot forces were disarmed in large parts of the country would be interesting to say the least. 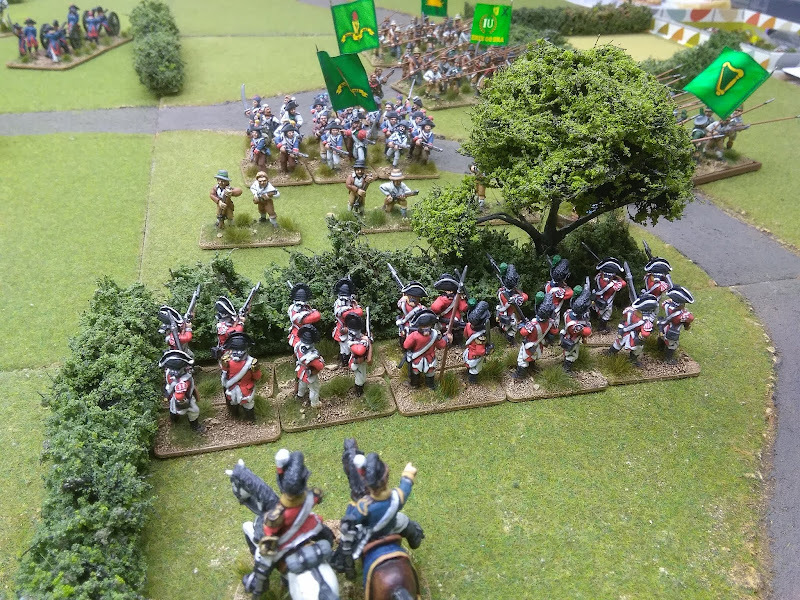 Thanks very much folks, it was indeed a lot of fun and may be coming to the Partizan Show at Newark in August (either this or our El Cid game) the figurs are all painted by Steve Shann so I will pass on the kind comments when I see him this evening for an 1812 retreat from Moscow game. Ah yes, the twin battles of Battenberg and Bakewell.